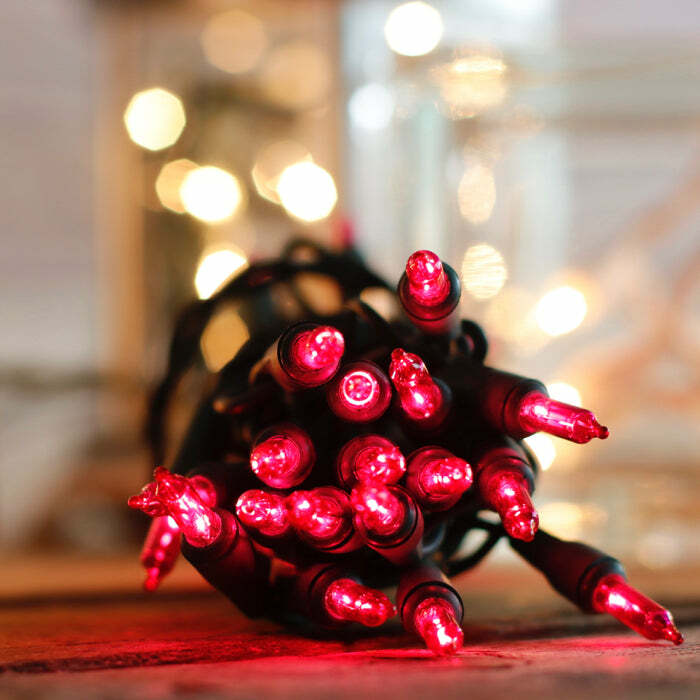 Red mini lights, 20 bulbs to the string, are a popular choice for crafters and customers who don't need large amounts of light in their projects. 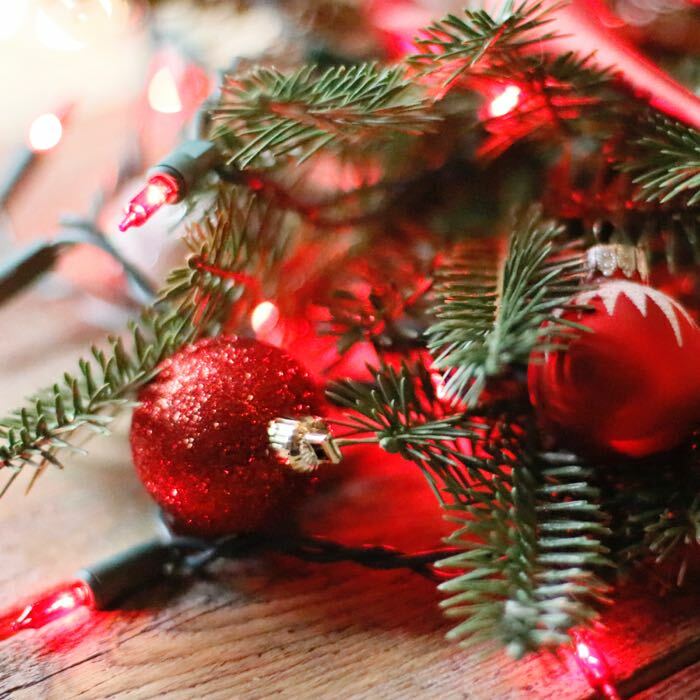 These mini lights are a great choice to wrap and light up a small Christmas tree in your home's entry. With almost 5 feet of lit length, they can showcase a tree beautifully. A 36-inch lead wire can prevent adding an extension cord in most cases. The lead wire can easily be hidden behind groupings of other items in your decorations -- tucked behind books or Aunt Sue's teapot! These red mini lights would be fun added to wine bottles for a Christmas display. You can stuff them in (gently!) from the top or use a drill to put a hole near the bottom. Be aware these incandescent lights do have a heat output, so be careful with the amount of time you have them on, and which surfaces you place them on. I have been purchasing lights exclusively from Christmas Light Source since the early years of our business! The lights have always arrived on time, and have been exactly what was advertised on their website! I have had fantastic customer service and we will continue to use them to make our products SHINE! Thanks!!! Q: I need a 20 red mini light set on a green wire but want the spacing to be 6-8 inches. Is this available? A: I'm sorry, a light string with those specifications is not available at this time. Most folks are stuffing these into bottles and containers so we try to minimize the wire between bulbs.